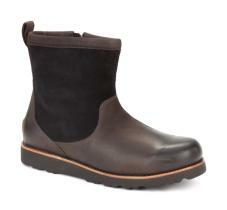 From the Cascade Collection by UGG® Australia the Munroe is a boot where rugged utility meets casual comfort. Cold weather rated down to -20C with waterproof leather and contruction. Plush UGGPure™ with mylar and foam insole ensures warmth, comfort and natural moisture wicking and a Vibram outsole provides durability and comfort.